Outline any text in Adobe Photoshop to make it stand out. The best part is, it’s quick to do and easy to learn even if you’re a Photoshop beginner. And this is just one of the many type effects you can learn in Photoshop. But be subtle. 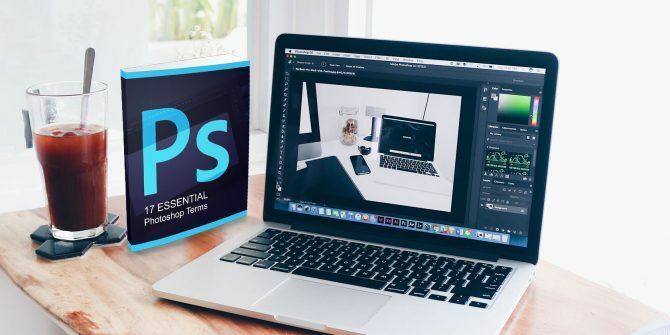 Subtlety is important because you can create beautiful effects with just the right font combination The 10 Best Photoshop Typefaces to Use in Creative Cloud The 10 Best Photoshop Typefaces to Use in Creative Cloud Typefaces can make a huge impact when used correctly. Here are the best Photoshop typefaces you get with Creative Cloud. Read More , otherwise outlined text can look overdone. This method uses Layer Styles to create the stroke. It also allows the type layer to remain editable. You can also use the steps below to add a stroke to any other object on your canvas apart from type. Select the Type tool (Horizontal or Vertical) and create your text. Right-click on Type Layer and choose Blending Options from the menu. Or go to Layer > Layer Style > Stroke. In the Layer Style dialog box, opt for Stroke under the list of styles on the left. The options under the Stroke style give you complete control over the appearance of the outline. Set the size or width to the desired amount by using either the slider or enter your own value. Choose a Position for the stroke. The right position changes the appearance when text is combined with other layer elements. There are three choices. Inside.The stroke will be placed inside the edges of the selection. Center. The stroke will appear 10 pixels inside and out of the selection. Outside. The stroke will run along the outside edge of the selection. Use the Blend Mode to control how the colored stroke will interact with the colors or layers under the stroke. For instance, if you place the text over a colorful image. Use the Opacity slider to set the degree of transparency for the stroke. Strokes can be filled with solid-color lines, colorful gradients, as well as patterned borders. Click on the color tile to open the color picker. Choose your color. Click OK. If it looks bland, don’t worry. You can create more colorful text effects. Experiment for interesting results. For instance, the screenshot below shows a patterned stroke. How Does Your First Outlined Text Look? There are many ways to outline a text, but a basic stroke is simple enough. You can always combine the text with the Layer Styles to add effects. This method is also flexible as you can copy-paste any other text to replace the one you were working on. The Layer style stays intact and the image will update with the new text you just pasted. What other techniques have you tried to outline text quickly and easily? Explore more about: Adobe Photoshop, Creativity, .